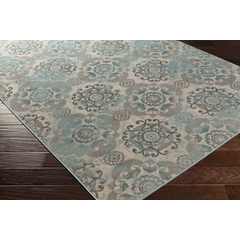 At Coco Curtain Studio & Interior Design, we can help you find the perfect rug and/or carpet for your home. This year, Coco Curtain Studio & Interior Design teamed up with Surya Rug, as well as Stark Carpet, two of the best Rug/Carpet distributers in the world, and now they are only a drive away! Choosing a carpet can be extremely difficult, especially when it comes to finding the one for the best price, quality, color, and texture to coordinate with the rest of your room. Many people do not realize that choosing the right carpet can go a very long way, and Coco Curtain Studio & Interior Design’s trained designers have the skills and necessary tools to help you find the best carpet for your room.